Awarenet recently recruited a new cohort of grade 9 learners in cooperation with Upstart, a fellow non profit organisation which aims to bring local youth skills in journalism and media. The grade 9 learners will be part of our program until grade 12 and will be given extensive educational support and training in ICT and media skills. 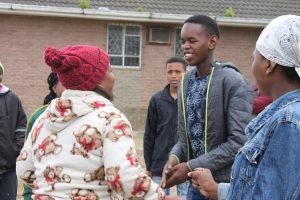 The idea is to conduct a weekly workshop on Saturdays for the Grade 9 learners who all hail from local high school Nombulelo. We want to support their educational journey, both in their school and also within their group. In terms of media production we teach them skills such as video production, photography and recording of radio programs. 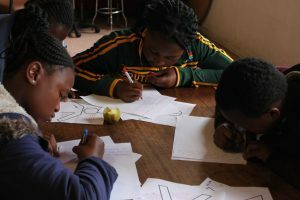 Through access to computers and the internet the learners also acquire general ICT skills which they can also use to do school projects more efficiently. 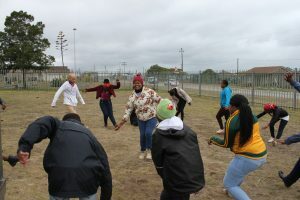 Throughout their time with the program until grade 12 there will always be trainers present to give support and advice, both staff from awarenet, Upstart and student volunteers from local Rhodes University. The first workshop was a success! It was an introduction workshop which was meant to make participants get to know each other better. We therefore did some “getting-to-know-each-other” games . 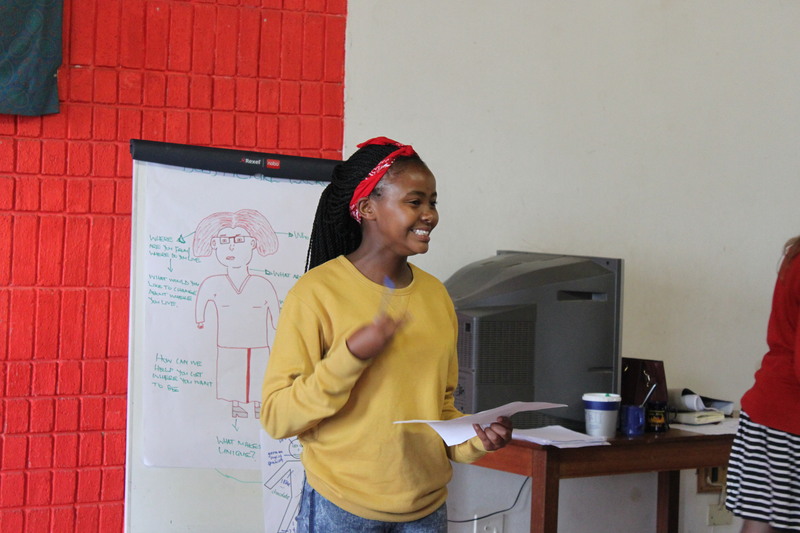 The grade 9 learners were also given a task where they had to do a interview with another learner and write down the other person’s dreams, where they come from, and what the like or hate. In the end everybody presented their results and it was really nice to see how much they found out about each other even if they didn’t know each other previously. The last task we gave them was a writing task, initially they were told to write 5 minutes continuously without lifting their pens about whatever came into their heads. Some of them wrote about their day at the workshop, one wrote about the beach and another learner wrote her name and adjectives beginning with every letter of her name. It was also very interesting to see how creative our learners can be when they were given a task where they were only supposed to write whatever comes into their minds. This entry was posted in awarenet projects, Core group, Joza Youth Hub, Joza Youth Hub community, Learning Lab, movie making course, Nombulelo SS, Our organisation, Uncategorized, Upstart, volunteers. Bookmark the permalink.